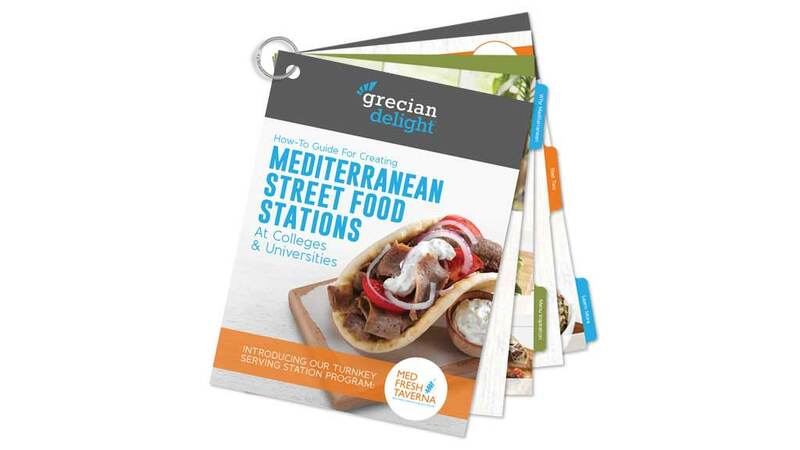 Most C&U foodservice directors know Mediterranean cuisine is a hot trend with Gen Z. Bringing that trend to life easily in their dining hall is challenge Grecian Delight wanted to help them overcome. We created this super handy guide to Mediterranean buffets that makes back of house training easy.